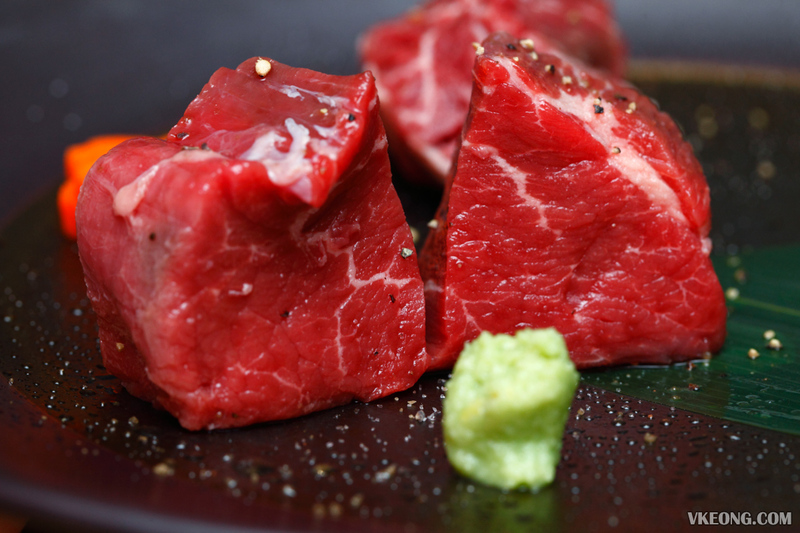 It has been 2 months since Yakiniku Toraji opened its door at The Table, Isetan The Japan Store. 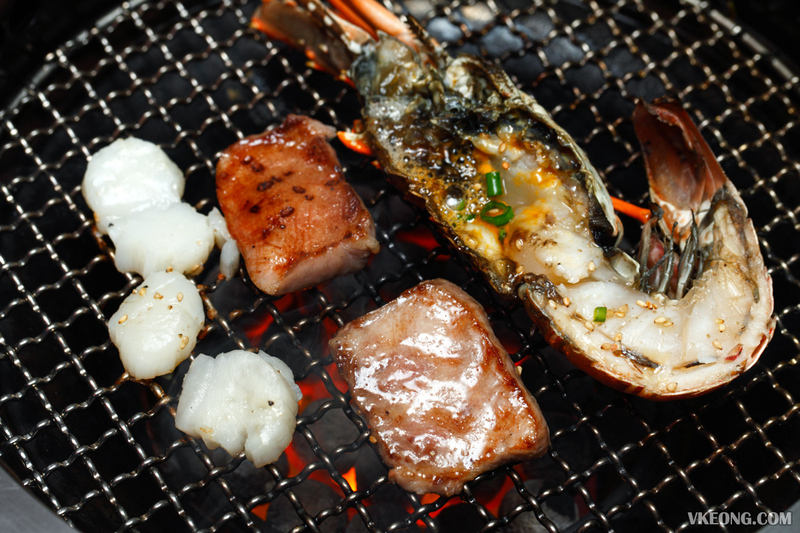 It’s now one of our top places to go for Japanese BBQ and we have never been let down by their quality of meat and good service. Based on our observation, other customers also share the same sentiment, as the restaurant gets busy especially during the weekends. A few days ago we dropped by to celebrate a special occassion and had their premium course, priced at RM280/pax. Another less pricey but equally elaborate course menu called ‘standard course’ is available at RM200/pax. Every course menu consists of appetizer, main dish, side dish, meal and a dessert. We compared both courses and found the differences are not profound, as you are served mostly the same things. 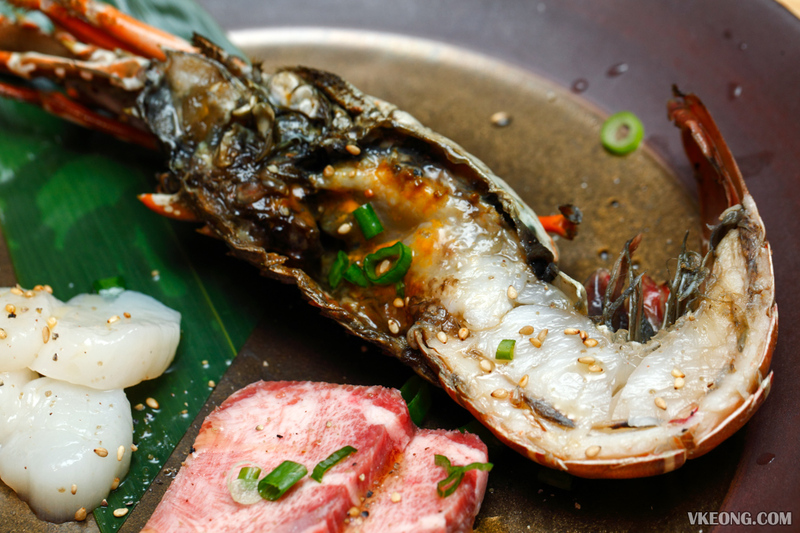 The premium course has an extra piece of sushi, lobster (instead of prawn) and slightly better cuts of beef. 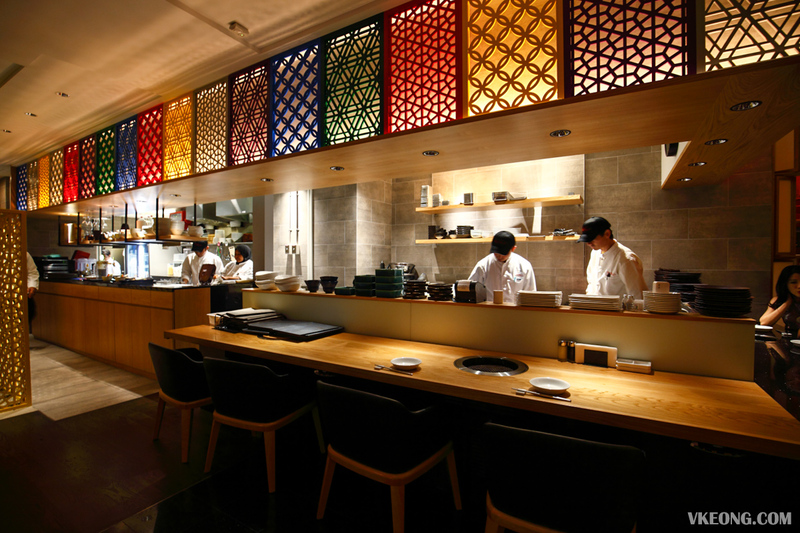 The appetizer includes: assorted kimchi, assorted korean ‘namul’ seasoned vegetables, salad, Sirloin sushi and Harami Sushi. I don’t have much to say about the kimchi and seasoned vegetables, but the beef sushi were a treat. 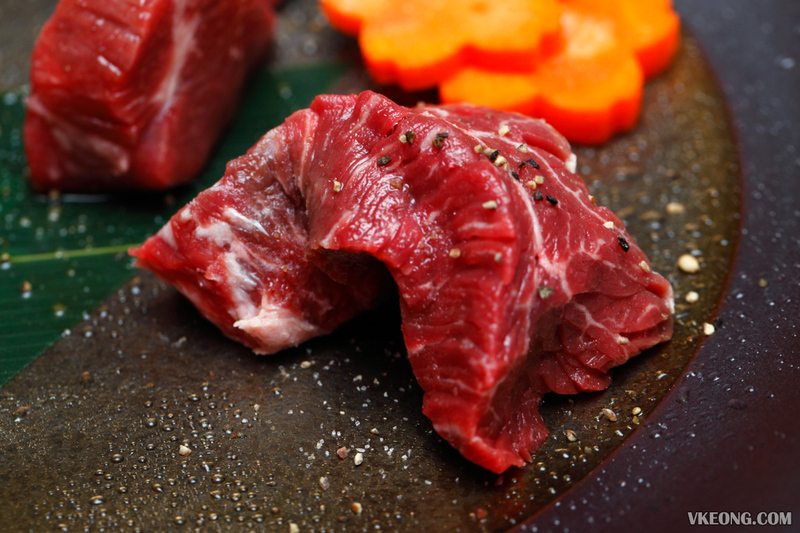 Lightly seared on the surface, these beautifully marbled beef slices simply melts in the mouth. 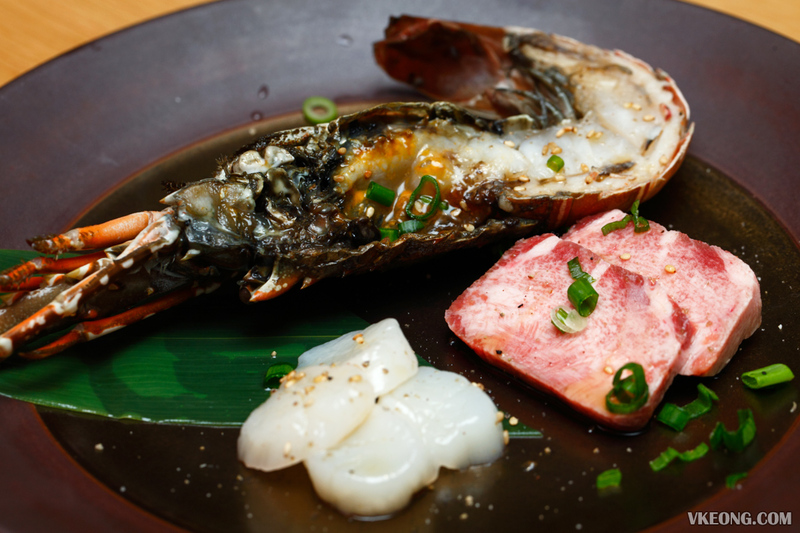 Here’s one part of the main dish: thick cut prime beef tongue, lobster and scallop seasoned with salt and pepper. 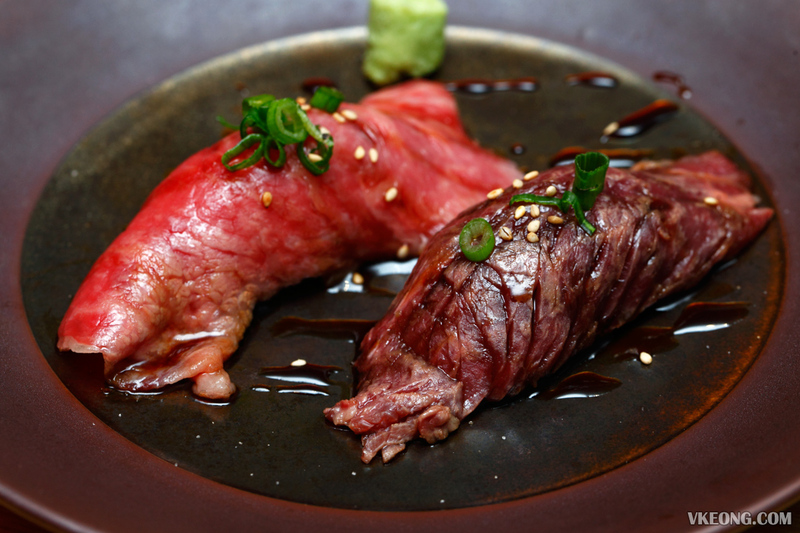 Everything looked and tasted fresh but our favorite has got to be the beef tongue. The second part of the main dish: Sirloin, extra prime Harami and extra prime Fillet. 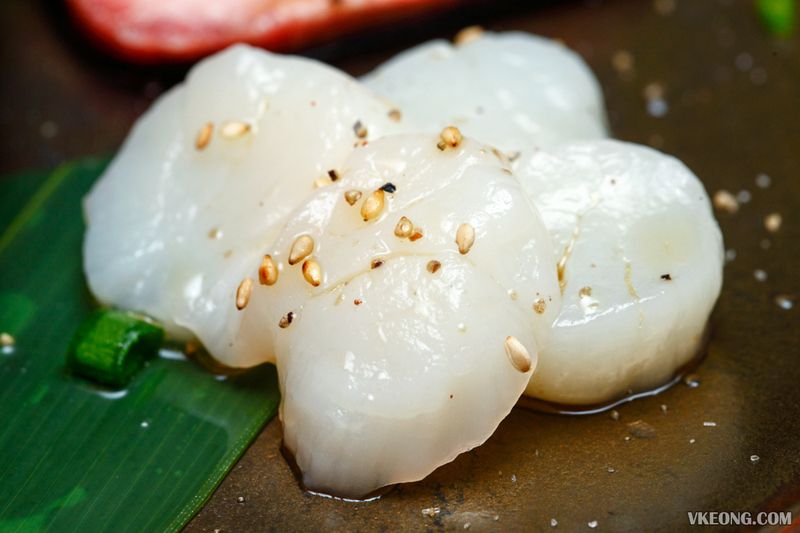 These are meant to be dipped into their signature sauce for extra flavor. 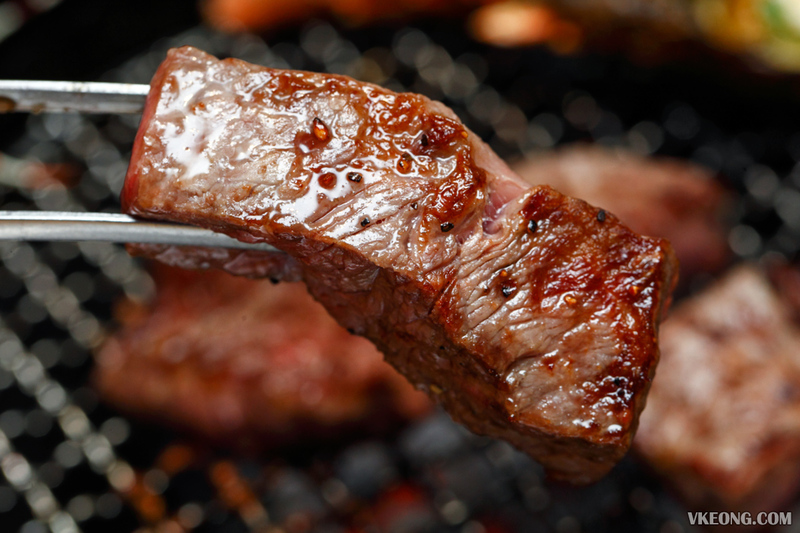 Chuck of sirloin, best cooked at the center of the grill at high heat to lock in the juices. 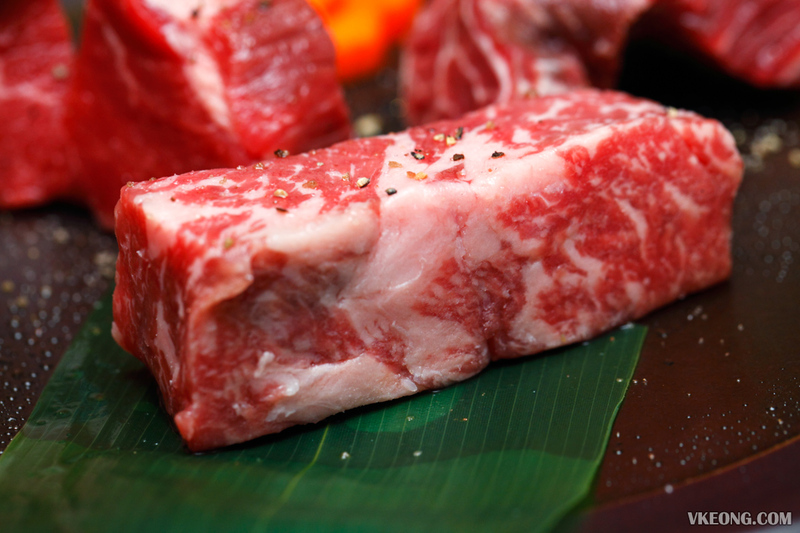 The wonderful marbling on the meat is enough to tell how delicious it was. 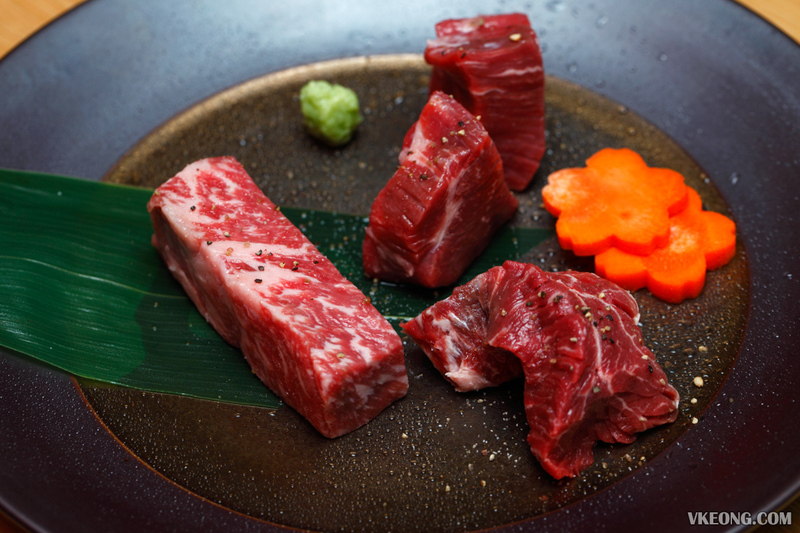 Toraji’s cubed filet is served in thick cuts to prevent the meat from being overcooked accidentally. 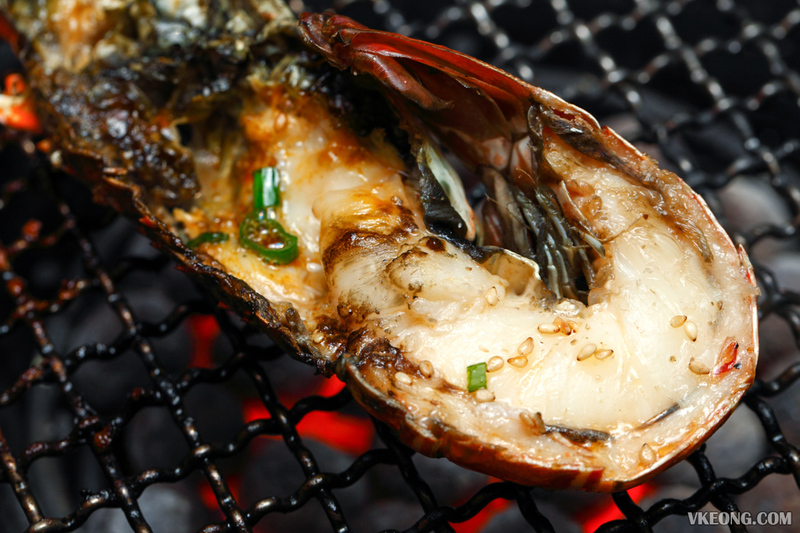 Recommended to be grilled for 1 minute on each side for a rare center and medium ends. Despite having less fat, it’s still tender with a nice chew and full of flavor. 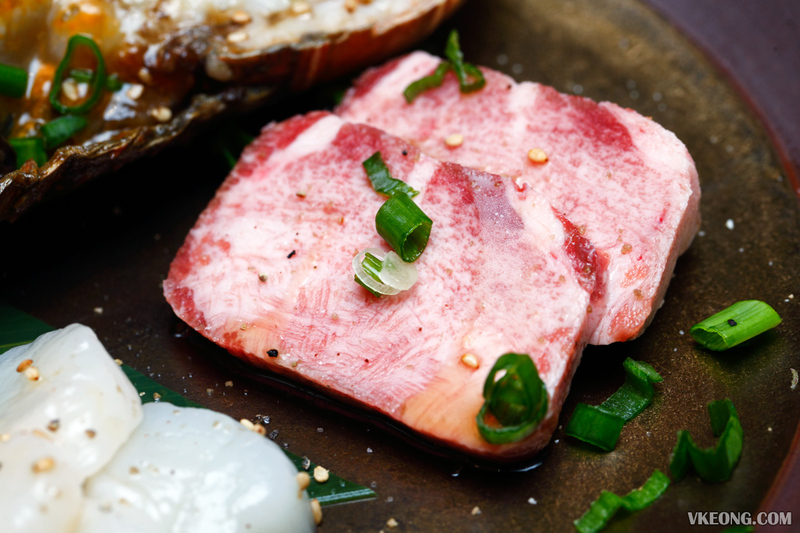 The Harami (outside skirt), known for its intense beef flavor and loose grain texture that contributes to its tenderness. 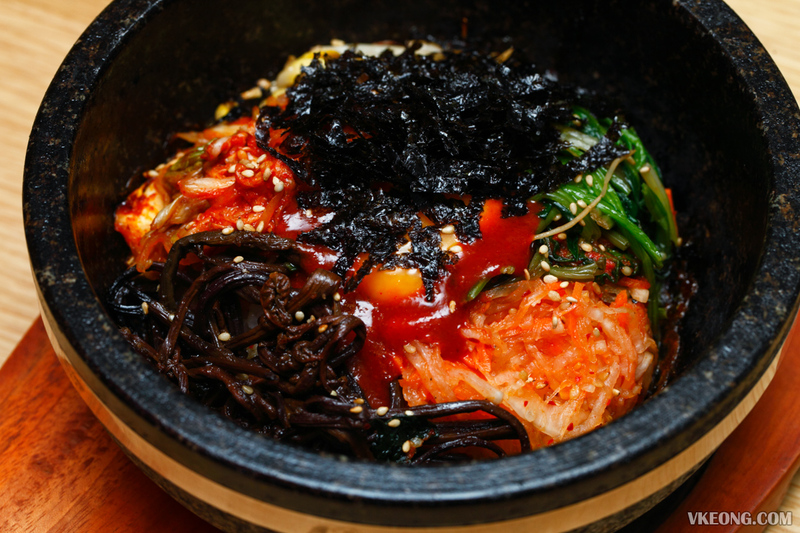 Then you have a choice of rice or noodle for the “meal”, which could be the Ishiyaki bibimbap (shown above) or a bowl of Korean cold noodles soup. We picked the rice because we already planned to have a noodle to share. 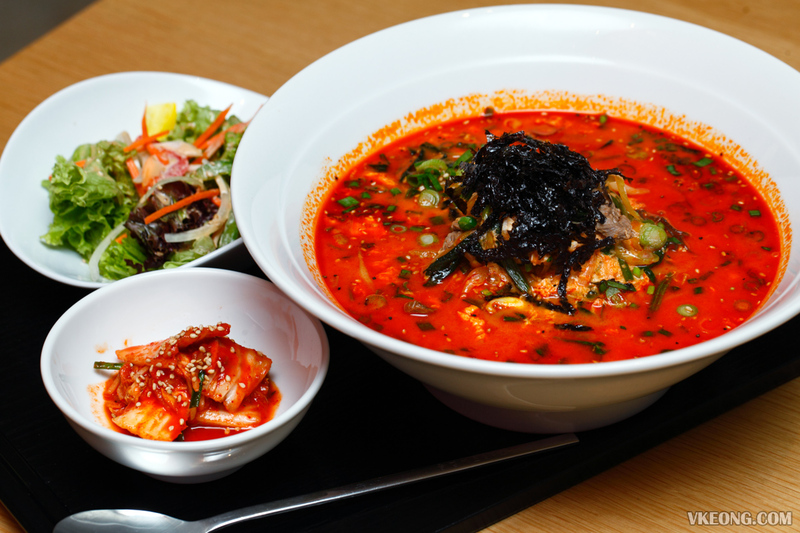 The noodle we had was the hot and spicy “Yukkejang” noodles soup @ RM34 as recommended by the floor manager. It’s served with thin buckwheat noodle, garnished with beef slices and the portion size was huge. We thoroughly enjoyed the noodle, albeit it’s not as spicy (for Malaysians) as described in the menu. I felt the soup was superb, savory with an almost creamy consistency – we finished every single drop of it. Personally, I didn’t expect it to be this good, simply great stuff. Dessert wise there’s no surprise, as you are offered either sorbet or ice cream in a variety of flavors. 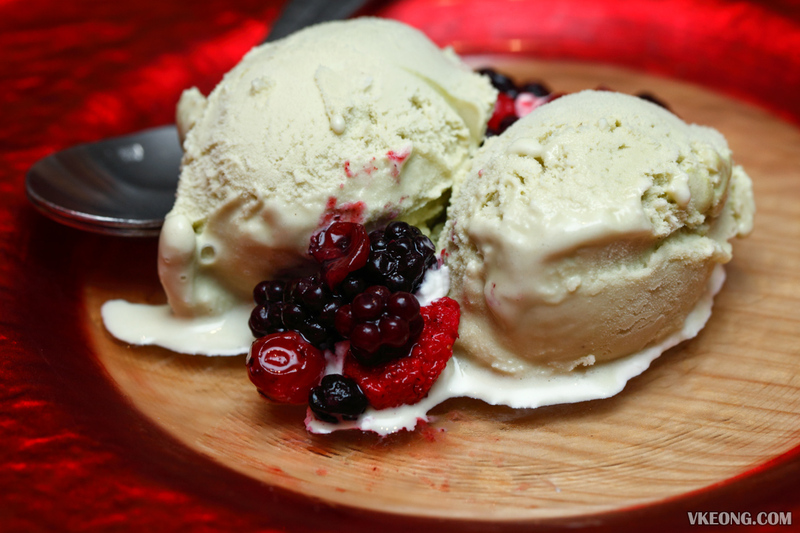 We had the pistachio ice cream which was expectedly delighful but nothing really spectacular. 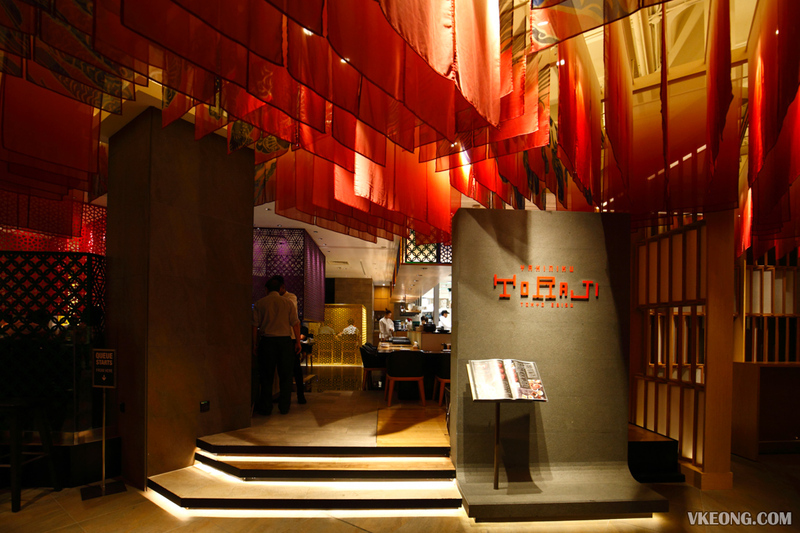 The post Premium Course @ Yakiniku Toraji, The Table Isetan The Japan Store appeared first on Malaysia Food & Travel Blog.